John joins the cast of the Indie Feature Film We Are Unsatisfied. 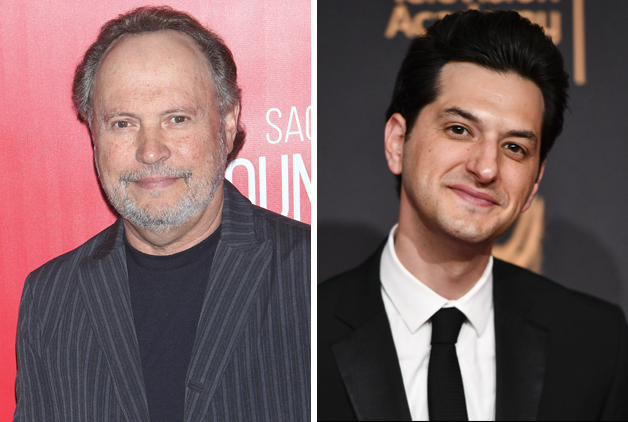 The film stars Billy Crystal and Ben Schwartz. It is directed by Matt Ratner and written by Peter Hoare. It will be produced by Ratner, Rick Rosenthal, and Chris Mangano. It centers on the friendship between a struggling L.A. comedian (Schwartz) who’s forced to move back home to Long Island and finds an unlikely kindred spirit in his alcoholic dermatologist (Crystal). John plays Owen, now-husband to Schwartz's ex-girlfriend. Also joining the cast are Grace Gummer, Eloise Mumford, Kevin Dunn, Nate Cordry, Debra Monk, Jill Hennesy, and Caitlin McGee.